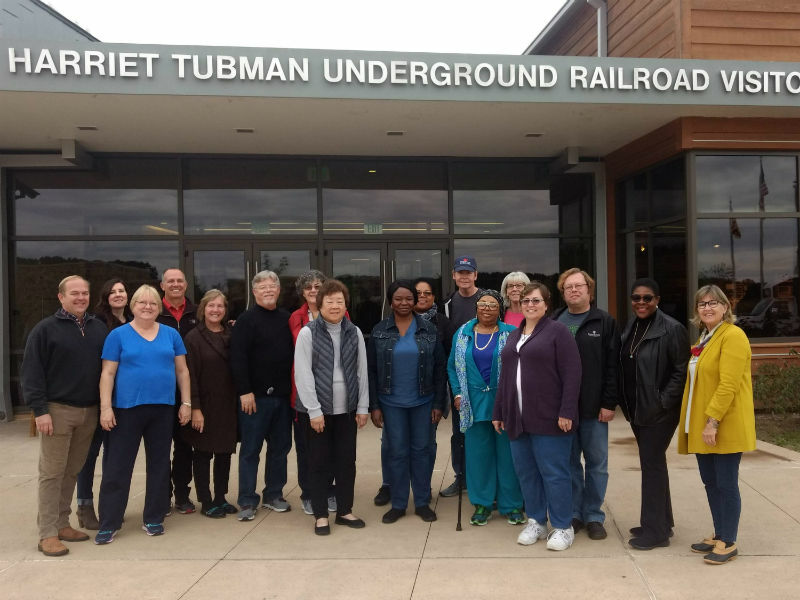 Tour group at the Harriet Tubman Visitor Center, 2018. 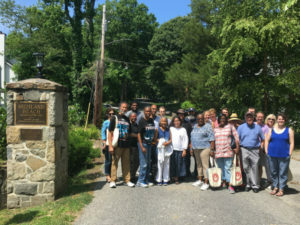 The tour was led by Priscilla Timken, founder of Chesapeake Tours & Promotions and a seventh-generation native of Maryland’s Eastern Shore. 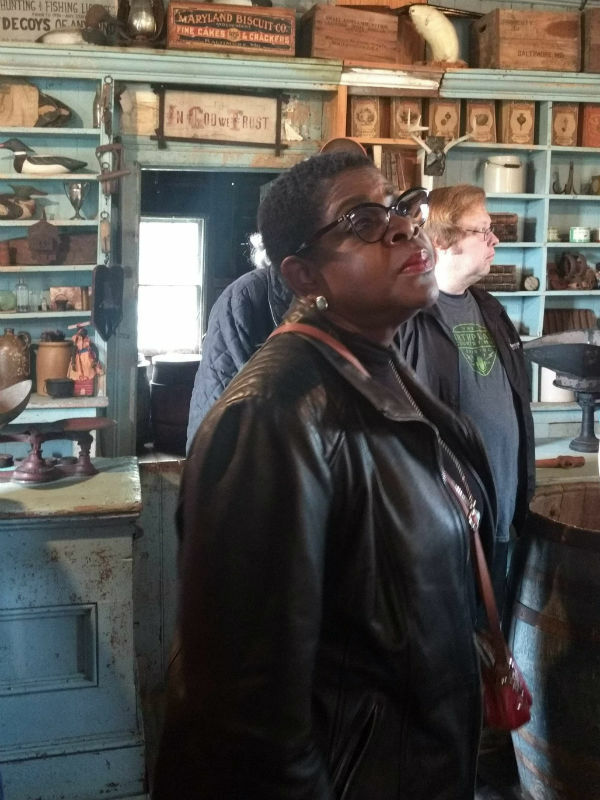 The tour began at the Dorchester County Visitor Center on the Choptank River, near the site of the port that was a hub for the local slave trade in the first half of the 19th century. 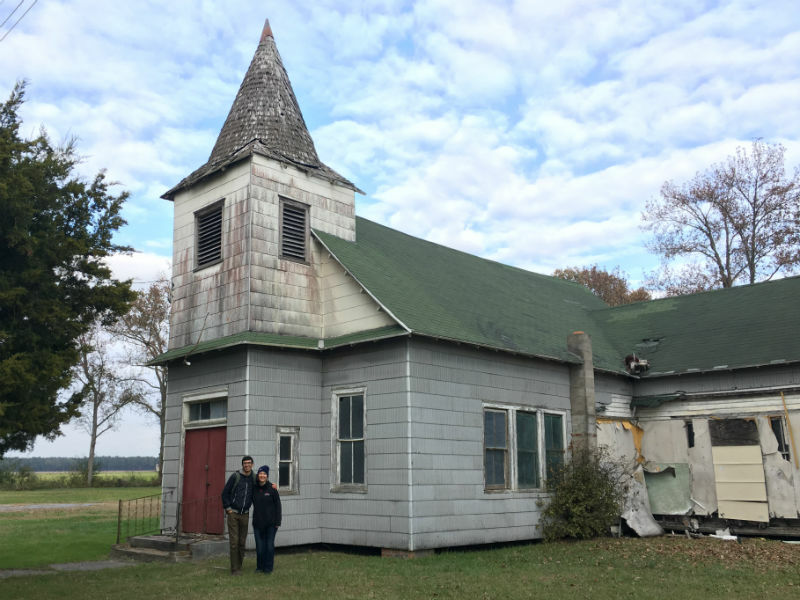 The next stop was Malone’s Church, a Preservation Maryland Six-to-Fix project with ties to the Tubman family. Renna McKinney and other members of the Harrisville Malone Cemetery Maintenance Fund guided the group through the church and its cemetery. Renna M. giving a tour at Malone’s Church, 2018. The tour then proceeded to the Harriet Tubman Underground Railroad State Park. 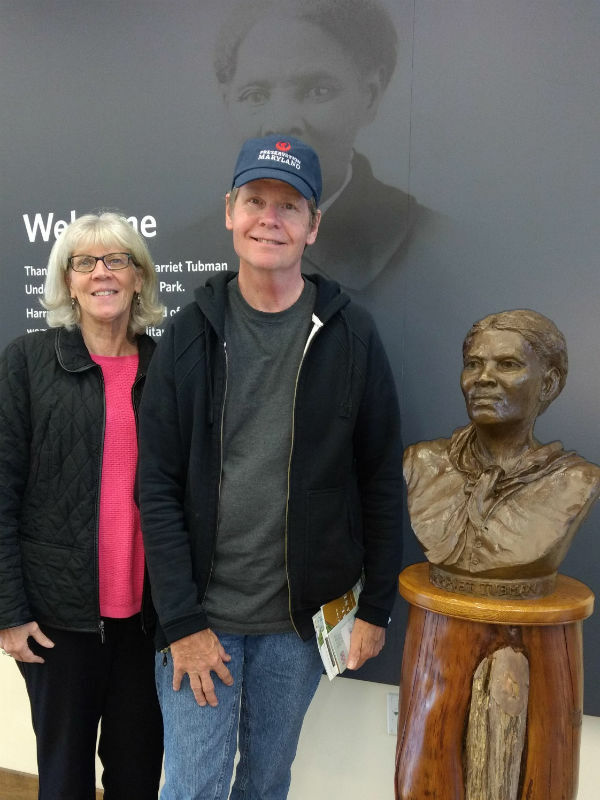 The park visitor center features exhibits about Harriet’s rescue missions and the secret networks of the Underground Railroad, as well as Harriet’s actions during the Civil War and as a suffragist, civil rights worker and humanitarian. 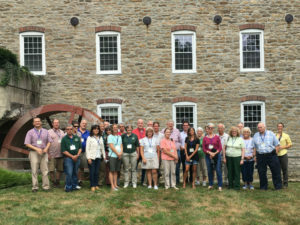 Tour attendees at the new Tubman Visitor Center, 2018. Sheila Bashiri at Bucktown Village Store, 2018. 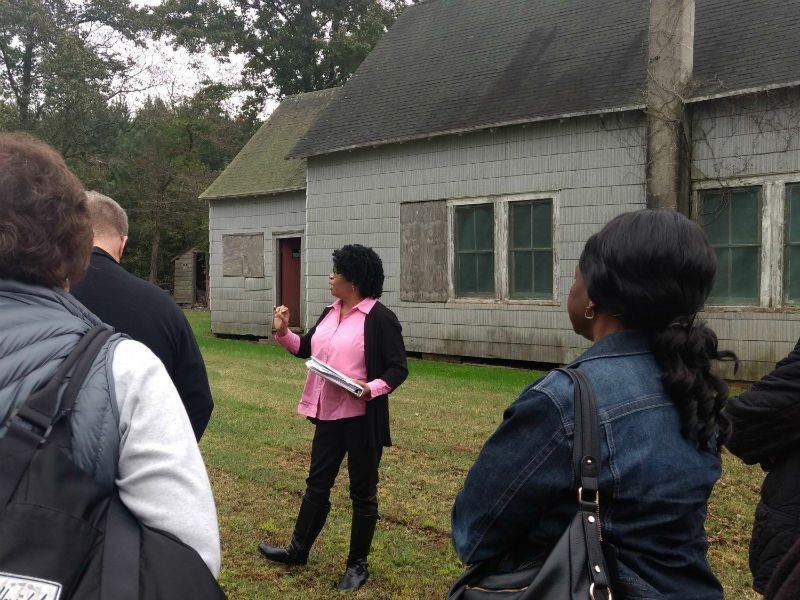 The tour next visited Brodess Farm where Harriet was born and the Bucktown Village Store where a young Harriet refused to assist in the capture of another slave and endured a head injury that affected her for the rest of her life. 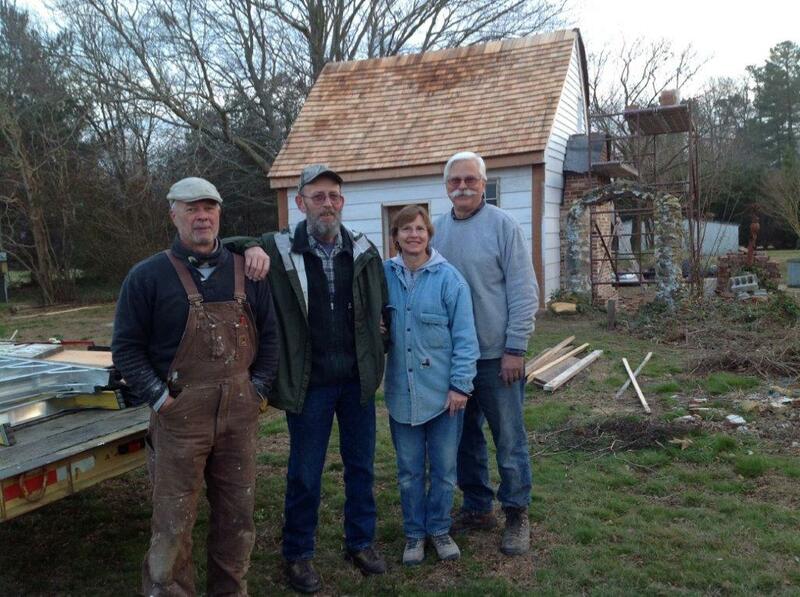 The Webb Cabin during restoration, 2016. The tour concluded in Caroline County where J.O.K. Walsh of the Caroline County Historical Society and Kathy Mackel, the county’s former Director of Tourism, described the role of the local Quaker community in assisting slaves on the Underground Railroad. 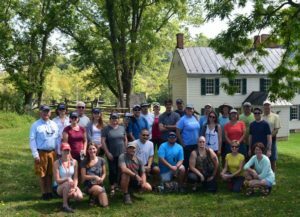 The group visited Linchester Mill, a historic mill where crucial information was secretly shared, and Webb Cabin, the restored home of a free black man in the mid-1800s.